AUSTELL, Ga. (Apr. 21, 2017) – Today YKK AP America Inc. (YKK AP) launches the impact-rated YHW 60 TU window wall system. 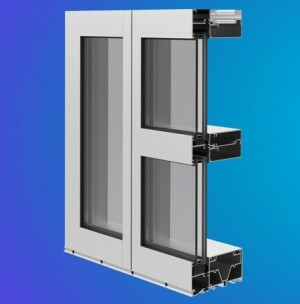 One of the industry’s only shop-fabricated and pre-glazable window wall systems to protect against strong environmental conditions of up to 90 psf, the YHW 60 TU features YKK AP’s unitized option that provides architects with a high level of quality assurance, while reducing costs and time to close for the contractor. The addition of the YHW 60 TU expands YKK AP’s line of versatile wall systems and brings unitization to all types of projects, regardless of size or complexity. The YHW 60 TU has the ability to be unitized or stick-built, providing for maximum design versatility. When unitized, the window wall is assembled and glazed in the shop, then sent to the job site. This allows for interior installation and reduction of on-site labor, advancing the installation process and reducing labor costs, two critical factors in today’s construction climate. Quality control is enhanced due to the environmentally-controlled atmosphere, an ideal setting for critical seals. Additionally, dry-in time is up to 85 percent faster than on-site glazing, expediting the time it takes to close the building. Window walls are ideal for residential projects because of the ability to compartmentalize and confine issues to a single floor. For example, sound attenuation is enhanced as the system stops at each floor, eliminating the transmission of sound waves from floor to floor. The YHW 60 TU has a number of features to provide design flexibility, including slab edge covers, corner accessories and accommodating options for accent floors. It works seamlessly with taller ceilings up to 12-feet punched openings. It is compatible with YKK AP terrace doors, entrances with installed sub-frames and SSG TU/TUH vented windows. The YHW 60 TU achieves maximum energy performance and enhanced occupant comfort by utilizing YKK AP’s patented ThermaBond Plus® thermal break technology. Its Pour and Debridge process improves the adhesion of polyurethane material to aluminum extrusions, ultimately resolving adhesion problems and any dry shrinkage. This provides added durability and resiliency to the lifespan of a building and helps reduce maintenance costs. YKK AP will showcase the YHW 60 TU at AIA Conference on Architecture 2017 on April 27 – 29 in Orlando, Fla. at booth number 3103. For more information about YKK AP or its products, please visit ykkap.com.